Cascade Tool & Foam provides highest quality closed cell foam products that meet or exceed specifications for Foreign Object Damage, 5-S Programs and Lean Manufacturing. 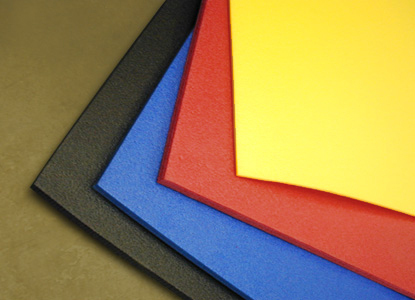 We offer several different foam densities and types, each made to withstand exposure to oils, solvents and jet fuels and provide an orderly workspace with color-coded tool storage. We can custom cut foam for your toolbox or you can buy sheets or drawer-sized pieces to do it yourself by following our simple instructions. Tools located in logical order - no more "hunting"